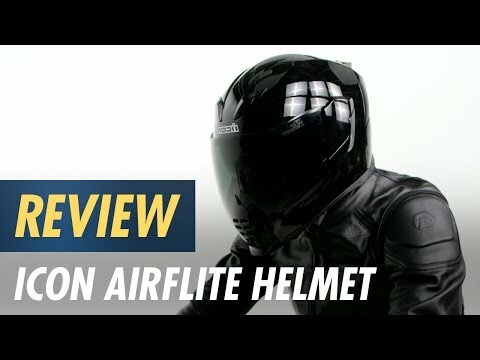 The Icon Airflite Fayder Helmet is all bolts, all the time. Polycarb shell with massive airflow cools your noggin. Drop the inner sun shield when the sun gets in your eyes. Super noisy. I have an $80 HJC that is a quieter ffs. Honestly this helmet is all about looks and nothing else. It's super noisy, heavy, and obnoxious. Pretty good airflow but other than that nothing special. Average helmet at an above average price.. also ordered the rst shield in red and went to clean the bugs off the other day and it the bug guts left spots on it after I cleaned them off.. overall pretty disappointed in this purchase.